The Natyasatra composed by Bharata in the 2nd century Before Common Era suggests a flourishing theatre/dance scenario in that time. Bharata’s disciples Kohala. Dattila and others kept up this tradition. Eminent playwrights like Bhasa, Kalidasa, Sudraka and Sriharsha visualized the stage and composed dramas accordingly. In short, the period from 4th century B.C.E. to 6th century Common Era, was the ‘golden age’ for Sanskrit theatre. This was followed by a period of snag nation. It showed the signs of steady decline in the middle from the 11th century C.E, caused mainly by the deve lopment of regional forms and languages. The history of Sanskrit Theatre in Kerala, however, does not follow the aforementioned pattern. The ‘golden age’ in the North created no stir here. The first dramatic work of note in the south is’Mattavilasa’ composed in the 7th century C.E. ‘Ascaryacudamani’ is believed to be the first play composed in the Kerala region. Nilakanthakavi’s ‘Kalyanasaugandhika’ comes next in order. Kulasekharavarman of 11th century C.E. composed two plays ‘Subhadradhananjaya’ and ‘Tapatisamvarana’. Kulasekhara was not merely a playwright but also one who possessed an uncanny stage sense. Hence along with the text of the plays (granthapatha) he composed also the texts for performance (rangapatha) entitled ‘Vyangyavyakhya’. Differing from the then current trends, he introduced the technique of ‘Nirvahana’ and also provide for dramatic expression through ocular movements to cater to the more accomplished audience. After Kulasekhara’s time plays as well as those of those of others began to be presented in this fashion. Actors found Bhasa’s plays to be most suitable for this. ‘Bhagavadajjuka’ and ‘Mattavilasa’, resembling Bhasa’s plays in their style, and Kerala’s Ascaryacudamani AND ‘Kalyanasaugandhika’ were performed in the newly evlved style. The audience also approved of this innovation. Acting (Abhinaya) became more dance oriented (Attam) now. Sanskrit theatre in Kerala evolved into Kutiyattam. Most of these developments took place immediately after Kulasekhara’s time in the 11th century C.E. One specific feature of the theatre in Kulasekhara’s time was that it catered to a secular elite audience within the premises of the royal court. These contracts with the later linking up of the Kutiyattam performance with temples. By the 12 the and 13th centuries, Malayalam as a language entered the realm of thatre . It was Nampiar the Sutradara (stage manager) who forst the used Malayalam as the medium to convey the plot while introducing play to the audience. Hence the langiage was termed ‘ Nampiar Tamizhu’ . 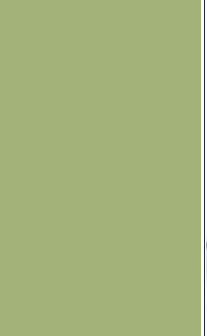 Gradually the Vidusaka (Jester) Took over and the descriptions began to deffer from those in the texts. In these Attaprakaras (acting manuals) the silo act of the Vidusaka created a Meta – theatre in the place of the Sansktit theatre contemporaneous. Howevwe though it began in the in the name of’Nirvahana’ it hade no relation with the main body pf the play. On an independent satge the ‘world’ of the Vidusaka became the ‘Kuttu’. The old Sanskrit Campus and newly composed Prabadhas became the basis of this ‘Word’. 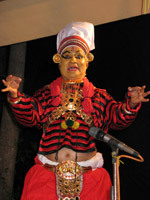 Thus Chakyar Kuttu or Prabanda Kuttu became an art form independent from the drama. As the group effort in theatre declined the actresses lost their importance onstage. They then developed the Nangyarkuttu to continue the exhibition f their talents. This is also a Nirvahana which elaborated the character of Kalpalatika, the maid if Subhadra in the lay ‘Subhadradhananjayam’. By the 14th century Sanskrit theatre had to be located in temple institutions. It was under these circumstances that Kuttampalams (temple theatre) were built and dramatic performances were initiated to exhibit ritualistic elements. The major Kuttampalams in Kerala were built around the 15th-16th centuries C.E. the first time this art form was performed outside temples was in 1949. Consequently, the Kerala Kalamandalam, the Institute established in 1930 by the great poet Vallathol Narayana Menon, came up in 1965 to provide facilities for the learning and teaching of this art from. Kutiyattam is the proto-form of most of the art forms of Kerala. It is well known that the quarrel between Chakyar and Nampiar led to the development of the art form. ‘Thullal’. Both Krishnanattam and Ramanattam are indebted to Kutiyarram, Kadhakali’s connection to it needs no special mention. Kutiyattam, thus, can well be defined as the mother of acting (Abhinaya).